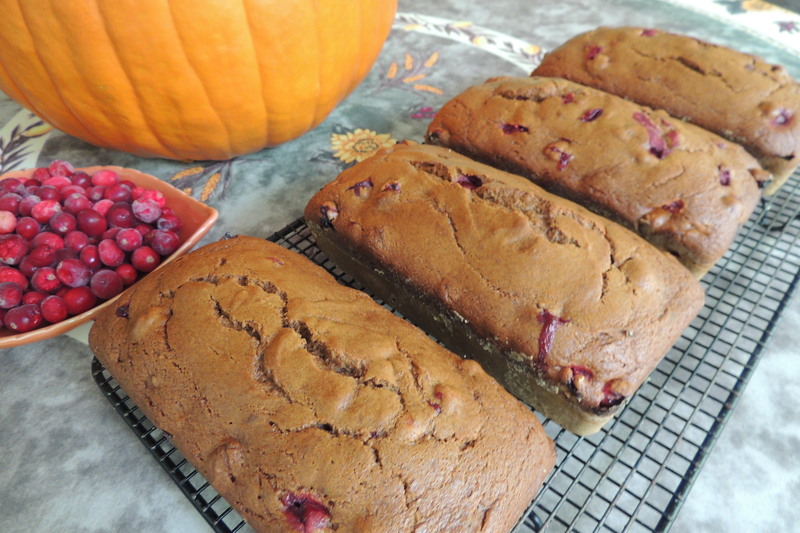 The perfect Fall bread to serve with a cup of hot cider! One 29 oz can of pumpkin is the correct amount to make this recipe in (4) 4X8 or (3) 5X9 loaf pans and it will take a large, heavy-duty mixer for this volume. 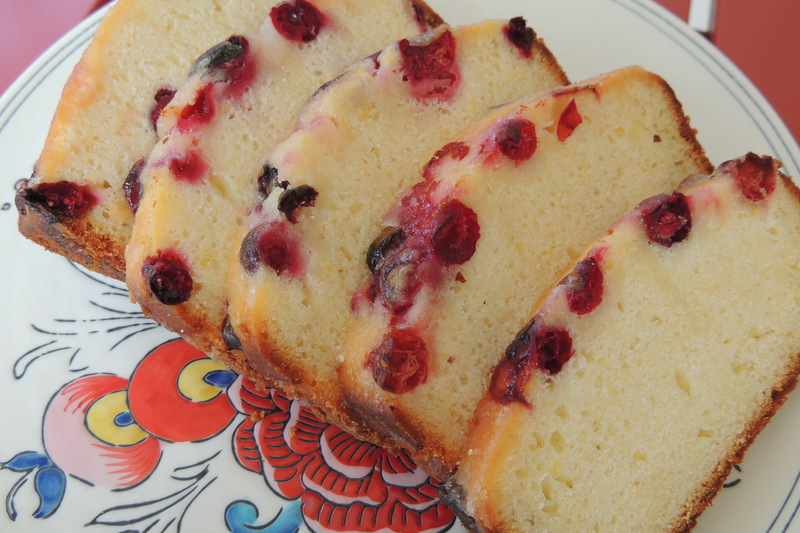 I buy lots of cranberries to freeze for year-round use and they can be added to this recipe without thawing. Be sure to use DARK brown sugar for a richer flavor. This bread is even better after freezing, and cuts cleanly with a chef’s knife while still frozen. If you’re not using the whole loaf, just slice what you need, thaw, and ENJOY!! Preheat oven to 350. Grease and flour (4) 4X8 or (3) 5X9 loaf pans. In a large heavy-duty mixer, combine eggs, dark brown sugar, and oil, beating well. Add pumpkin, vanilla, salt, soda, baking powder, allspice, cloves, & cinnamon. Add flour, mixing well. Add fresh cranberries (if frozen, there is no need to thaw). Pour batter into prepared pans and bake at 350 for one hour. Remove from oven and cool on wire rack for 10 minutes, then remove from pans and cool completely. If not serving immediately, wrap and freeze. Come visit us in the mountains for Fall Leaf Season!